Better known as the keyboard wizard behind Twinspirits, Genius Rock Opera, Cosmics, Khymera etc, Daniele Liverani has turned his attentions to his first love – the guitar – for his first solo instrumental offering for Lion Music entitled “Eleven Mysteries”. Anyone that is familiar with Liverani’s other bands know he is a strong songwriter well able to pen interesting vocal compositions with deft touches, fortunately this has translated to his guitar album which is an accessible collection home to rich melodies over strong songs. This only enables Liverani’s guitar technique, featuring all the tricks and skills you’d expect from a student of 80’s and 90’s guitars, to pack the expected punch from an offering from Lion Music. Although one might expect Liverani to use his multi musical skills to perform all instruments, he has used the album as an opportunity to bring new names to fold, with the album welcoming drummer Paco Barilla’, bassist Tony Dickinson and keyboardist Marco Zago to the scene. All are strong players in their own right with drummer Paco Barilla being a particularly noteworthy find. Onto the tracks and we get a multi-faceted album from the Jason Becker like uber shred of “Mysterious Impulse”, progressive overtones in “Inspiration”, metallic riffery in “Nerve Force” and the delicate ballad “Supreme Gladness” (a highlight to these ears). The obligatory Vai/Satch like track often found on guitar albums is well catered for with “All Is Good” whilst “Giving” injects a sprightly new world Steve Morse like vibe with nice keyboard solos from Marco Zago, “Humiliation” and “Freedom” are focused around more tight riffs but lack a little in character, something which cant be thrown at final track “Eternal” which covers numerous styles and is a good closer. 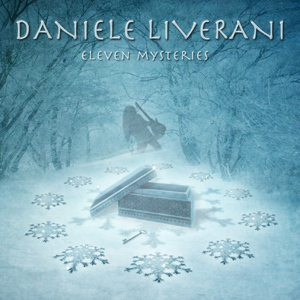 Daniele Liverani won’t win awards for breaking new ground in guitar instrumentals with “Eleven Mysteries”, but what we do get is a well played, well produced and more importantly well written album, home to fine performances within enjoyable songs where the focus is on just that – the song. Liverani’s impressive guitar work is the icing on this enjoyable cake. One to check out. This entry was posted in Reviews and tagged daniele liverani, Eleven Mysteries, Guitar, Jason Becker, Lion Music, review, Steve Morse. Bookmark the permalink. 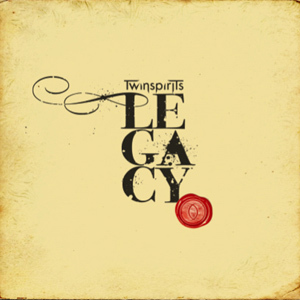 Daniele, congratulations on the new Twinspirits album ‘Legacy’ it’s a fantastic piece of work.Twinspirits have been building rapidly since the debut ‘The Music That Will Heal The World’, with the excellent ‘The Forbidden City’ and now ‘Legacy’. You seem to be very inspired with this band, what is it about the band and music that you inspires you? D: Thank you very much! Well, what can I say, Twinspirits has born in 2004 and the main concept behind this line up was to gather some very cool musicians I’ve been discovering during my musical path and working with for my past projects (Genius/Khymera etc..). Twinspirits is the most inspiring environment for me at the moment, because it continues the musical thread I started with the genius rock opera back in 1998/1999, and therefore it’s the situation that represent me the most in terms of songwriting and musical vision. Of course the talent and musicality of all bands members is a constant inspiration for me, when writing and producing, and they arrangements contributions to my songwriting is also very important and it really gives life to the songs. Can you give our readers an overview of how the creative process for the album took place? D: Basically I write the music and Lyrics and a pre-produce a rough version of the songs by myseld which becomes a sort of sketch for the songs, then I give it to the guys and they arrange their parts, write solos, give suggestions a songs structures and I take care of their feedback, of course trying to make a synthesis of all ideas without loosing the vibe and the direction of the original songwriting. Then we record each instruments, starting from Drums, then bass and guitars, then Keyboards and finally vocals and backing vocals. Then I mixed the album in my home studio. It took almost 2 months to mix this Legacy album, since I really wanted everything to sound acoustic and natural (no triggers or stuff), and I really did my best to take care of all details and give justice to the songs, I have to say that, so far, I’m very happy of the result. You found a fantastic vocalist in Goran Nyström whose range is very impressive, is this a voice you enjoy writing for and what role does Goran play in his vocals ideas? D: Yeah! Goran is absolutely an amazing discover, he’s so versatile, got great range, can sing almost in all ways and styles and has a good tone…what else can you expect from a singer? Basically I submit him the preproduction’s with lyrics I write, and when we work together in the studio we go along all phrases and find substitution when the sound he wants to achieve is not compatible with the words I wrote, so there’s a good interaction with him in the studio, and he adds a lot of arrangements and gives life to the initial ideas with a lot of creative adds in terms of style, passages and stuff. Album by album we are construction a great interaction process and it becomes more natural for me to write songs for him, and for him to arrange and give songs the right mood/vibe. It’s really a pleasure to write lyrics for Goran, because you don’t have actual limits to the creative part, he can sing everything!The main nucleus of the band have been together for a while now, and having played a number of live dates in the run up to the recording of ‘Legacy’ shows in the performances and tightness of the band. How do you feel playing live have benefited the band and music? D: It’s been extremely beneficial, we had the change to play live many gigs during the promotion of “The Forbidden City” in 2009/2010, and that live experience has given us more strength, tightness, and you can really hear in Legacy, in my opinion, this improvement. It sounds more natural and every member is more comfortable with their role. Playing live is so important, and we’re continuing to do that as much as we can! ‘Legacy’ can be split into two distinct sides with the first half being quite commercial songs that are not tied together, whilst the second half sees a mini suite that I believe is probably the best thing you have released. Can you tell us what led to the 2 halves or “sides” of Twinspirits and when did it become clear that this would work? ‘The Endless Sleep’ suite is superb, tell us more about its creation and in what phases it was recorded? D: Thank you! Well it’s creating lasted a couple of months, initially I wrote the lyrics and after that a put them in music. I have to say that it came out very fluently part by part, and it’s been a natural process, I didn’t had to force any aspect of the creation, and that’s why in my opinion it’s a long piece of music that really flows fast. So it’s been written all together in a couple of months, it’s not the result of a year lasting process. Does recording something as ambitious as this get easier over time as the last 2 albums weren’t lacking in big compositions either? D: Well, it’s of course ambitious to create, arrange and produce a 30 min suite, and probably now the band is more mature and it was a good moment for this challenge. Anyway when I write I tend to be free from any rule or external influence and environment that the music will be produced with. I have to be free to create, and the suite “the endless sleep” just came out in this last 2 years period, you really can’t expect what will come next in your creation process, at least speaking of my type of creation process. It just came at the right point of the band evolution I think, and I feel lucky for that inspiration at the right time! Do you provide music transcripts of the parts you want the rest of the band to play or do they play from ear and add their own ideas? D: I provide basically full preproduction recordings (also sung by me in a rough way) in an organised multi session project that includes also midi of most of the parts (except guitars and vocals), it’s enough for the guys to pick up the song and start to work on arrangements. The midis and scores for guitar player and bass player are very useful for the more challenging parts like duets, tricky parts or tricky harmonies. Twinspirits have their own voice in the progressive metal scene, is this something you strive hard to create? D: Well, I think it’s the goal of every artist/band is to create their own voice on the scene. I’ve always worked in that direction, trying not to follow any stereotype and to transform all influences I had into something possibly new and fresh. It’s very difficult nowadays to be very different, so having some sort of original formula into a genre is already a great result in my opinion. You have worked with Tommy Ermolli for a number of years now on different projects, what is it about his playing that you find inspiring and how do you feel he has grown as a player over the years? D:Tommy has always been a mature musician, even when he was 13. That’s what’s amazing in his musical side and was the most impressive aspect I noticed when I discover him back in 2002: his musical taste and incredible melodic sense in addition to a great technical skill. This is very rare in a musician in my opinion. By the way, year by year and album by album you can hear a great evolution of his playing. Now he’s focusing also into the big picture and his style has evolved into a very consistent playing and arranging of the Twinspirits material. So I think that the talent and the musicality have always been there, but evolutions of his playing can be noticed constantly album by album. ‘Pay For Their Art’ touches on a subject that many bands are scared to speak up about – illegal downloading of music. How has this affected Twinspirits and what do you believe the future holds? D: Illegal downloading has affected Twinspirits and all my release of the past in a major way unfortunately. And as me, many other artists have been seriously damaged by this new era behaviour. I wrote that song cause I felt the urge to say something about this issue to our fans an to all listeners in general. It’s really a heavy topic for both label and bands in this period, many situations are at risk of disappearing if things won’t change in some ways. I think that the message of “pay for their art” is a positive message, and tries to reach the fans and let them understand what’s behind the music they listen to, the work, the passion, the nights spent in recording, producing and mixing, a live spent in writing music to deliver the “soundtrack of your life”. I think that the only way to solve this problem is to create a new culture that can teach to new generations a new level of sensibility of what they do when they download an album illegally. It’s became normal behaviour nowadays, and it’s been lost the idea that you’re doing something wrong and stealing something. We have to teach younger generation to become more responsible about this topic, I don’t believe that technical solutions (internet blocking or stuff) will be a solution to prevent this phenomenon, it has to start from the culture and from the right educations about this topic, that’s why I decided to write my little piece of message into the song “pay for their art”. In that song you can hear a sort of dialogue from 2 different kind of persons, a responsible one and a person who things it’s “cool” to download illegally, the first one trying to explain why he should “pay for their art”. What other lyrical subjects are touched upon through the album? D: Most of the songs are inspired from life thoughts, and personal experiences…we have a sort of “relationship ending” topic on song Senseless, then other topics like “the difficult world we’re living in” in Slave to this world, the difficult process of understanding our right path in life in “blind soul”…I usually write and put on paper my thoughts about life. The endless sleep is different, it’s a visionary story I developed where a young person, due to a premature ending of his life, gets the change to discover and meet a superior entity that approaches him in the afterlife and gives him the chance to get back to the real world for a limited period of time with a mission to accomplish that could lead to ease the pain and all the suffering of the current world…very difficult to explain all the concept and the story in a few words, but what’s nice in my opinion is that you can give different interpretations to what you read in the lyrics, I tend to write in a very open way, poetically, without explicit connections to specific religions, politics, real events, remaining very visionary and abstract to give a sort of freedom to the listeners to create their own idea of what’s behind some concepts/story I write, whatever are their life styles, ideas, profiles. I believe the band will be hitting the road again in support of ‘Legacy’, can you give us more details of what to expect? What else is in store for 2011 from Twinspirits? Daniele, many thanks for your time. D: Thanks to you for the support and to all Virtuosityone readers!!! This entry was posted in Interviews and tagged Alberto Rigoni, daniele liverani, Dario Ciccioni, Forbidden City, Göran Nyström, Interview, Progressive metal, tommy ermolli, Twinspirits. Bookmark the permalink. Daniele Liverani’s melodic progressive metal outfit Twinspirits have wasted no time in building on the success of “The Forbidden City” with their third opus “Legacy”. Having spent time on the road in support of album number 2 the band are well oiled and it shows on this new release which sees the band build ever further on their signature brand of prog metal. “Legacy” marks the second album of vocalist Göran Nyström in the band, and his voice delivers another commanding performance over the material penned by band mastermind and keyboardist Daniele Liverani. Guitarist Tommy Ermolli takes a heavier role this time round whilst the rhythm section of bassist Alberto Rigoni and drummer Dario Ciccioni hold down the complex patterns with precision and the whole package is wrapped up in a powerful clear production. “Legacy” sees the band deliver a cohesive set of 11 tracks split into the two distinct areas. The first 6 tracks are perhaps amongst the most accessible and commercial songs the band have penned to date with each offering its own sound. Opening 8 minute “Senseless” sets the scene nicely with strong riffs and melodies. “Pay For Their Art” is an ode to those don’t see how downloading music is killing the metal scene for hundreds of bands. “Blind Soul” is heavy with good riffs and shows Nyström’s lower register voice to good effect, fans of Oliver Hartmann will dig this voice. “Slave To This World” is a frantic metal assault and features some excellent drumming from Ciccioni as well as possessing an infectious chorus. The ballad “Don’t Kill Your Dreams” might be considered a little twee to some and is arguably the weakest track on offer. The balance is soon restored by “Over And Over” which sees the rhythm section come into its own with its off beat riff, this track is also a grower over repeated spins and a highlight. The second aspect of the album comes in the form of the final 5 tracks which make up “The Endless Sleep” a 30 minute concept suite that has all you could ask for from a bona-fide prog metal band. However, the band manages to keep their focus on the song being the key aspect at all time. As an entity in itself this probably amongst the best thing Twinspirits have done to date and highlights come throughout this 5 track segment of the album. Musically the band don’t overkill with solos like say DT even though they have the chops to match the Americans, but Twinspirits’ focus on songs is well served making for an often more enjoyable listen from start to finish. Daniele Liverani is well known for his grand visions (‘Genius Rock Opera’ anyone?) but with Twinspirits he seems to have found his niche, delivering creating intelligent, mature and enjoyable metal all performed to virtuoso levels by all involved. As it stands “Legacy” ranks as the strongest Twinspirits release to date and comes highly recommended for progressive metal fans. This entry was posted in Reviews and tagged Alberto Rigoni, daniele liverani, Dario Ciccioni, Göran Nyström, Legacy, Lion Music, review, tommy ermolli, Twinspirits. Bookmark the permalink. A new melodic rock project on Frontiers, featuring a lot of familiar names. 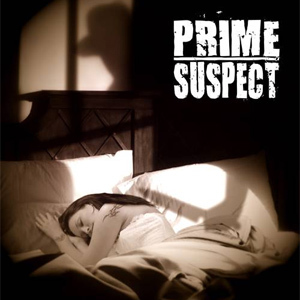 Daniele Liverani, Tommy Ermolli, DC Cooper, Mark Boals…The usual suspects rather than prime. The music is as surprising as the members. Insta-AOR. Some good songs, some weaker tunes. It all sounds rather generic and uninspired. While the musicianship is beyond reproach the production isn’t exactly up to snuff. The drums and guitars sound cheap and the keyboards are overbearing. There has to be a market for these projects, because Frontiers can’t seem to get enough of them. Not exactly the best one in the bunch, this. This entry was posted in Reviews and tagged daniele liverani, dc cooper, Frontiers Records, Mark Boals, prime suspect, review, tommy ermolli. Bookmark the permalink.